Sweet Toof paints teef and gums—very pink gums, everywhere! 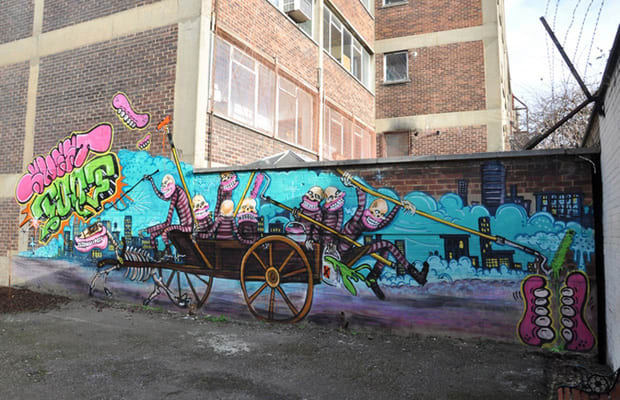 Formerly the founder and leading light of the London/Bristol crew Burning Candy, he's recently done prolific paste-ups and shutter paintings that remind you to brush twice daily like the dentist orders. He's secretive yet inclined to collaborate. It's still not that easy to find photos of just Sweet Toof's work.